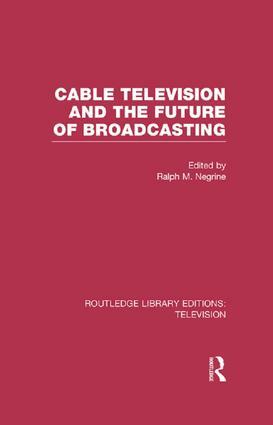 Originally published in 1985, this book surveys developments in cable television in the major industrialised countries with chapters specifically authored on each area. It looks at the technology, its potential, and how far it had been implemented, considering the reaction of governments, existing broadcasting corporations and licensing authorities. Going on to assess future trends, a discussion of the likely effects of cable on communications, society and economy is an enlightening read now.